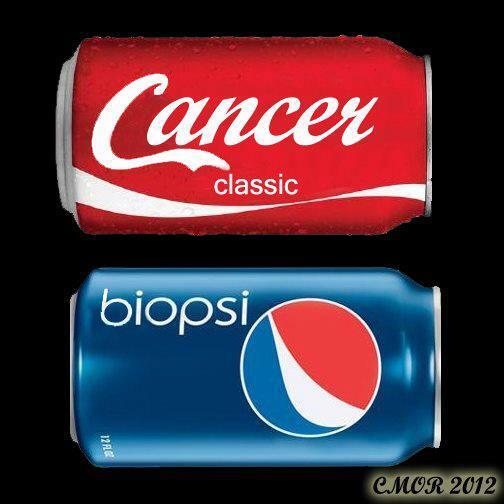 ← Diet soda more cancerous than cigarettes? Iced cold Pepsi anyone? How about some high fructose cancer syrup! Over the weekend I couldn’t help but notice tons of people slurping down a delicious (so we think), thirst quenching (not! ), icy soda. Whether its Coke or Pepsi, Sprite or 7-up, or even a good ole Dr. Pepper – it seems us Americans can’t get enough of this stuff. Now we all know soda has sugar. (What about diet soda you ask? Don’t worry! Thats equally if not more poisonous, but let’s save that for a whole other post!) But what about all this high fructose corn syrup talk? What is that stuff anyway? It does have the word corn in it, so it couldn’t be THAT bad. Unfortunately this little demon, high fructose corn syrup (HFCS), is just as bad if not WORSE than sugar. Our digestive system is not familiar with high amounts of isolated fructose such as HFCS. Our bodies are NOT designed to break down the levels of fructose that we are intaking. This results in it passing 100% of the fructose to our livers, which then processes all of itas FAT. Big surprise that this leads to an INCREASE in reduced liver function and an INCREASE in a risk for heart disease. So what? I’ll just eat less to account for the extra soda in my diet. FALSE! HFCS creates even more metabolic damage because it has no effect on ghrelin, which stimulates appetite, and interferes with the brain`s leptin communication, which lets you know you`ve had enough to eat. This leads to overeating. (In fact you are better off with plain old sugar.) S0 by consuming soda and other sweet juices with HFCS I will actually eat more?! Yes indeed. Still NOT CONVINCED YET? Perhaps liver damage and heart disease don’t hit home. Perhaps overeating is not a concern. How about cancer? A study at UCLA’s Jonsson Comprehensive Cancer Center found that pancreatic cancer cells grew faster when “fed” with fructose. They concluded that fructose would also speed the growth of other cancers as well. Instead of nourishing and feeding ourselves, we are fueling our demise, cancer cells. Then we wonder why cancer is rapidly taking over this country? The facts are right here people! Between 1970 and 1990, consumption of high-fructose corn syrup rose 1,000 percent, according to the cancer researchers. Unfortunately HFCS is not only in soda, but is now in pretty much everything we eat. Juices, canned goods, syrups, KETCUP etc. How could this be? Because the cost is is significantly less then that of producing with sugar. So we are being cheated of our health for corporations to save a buck, the answer is yes. Where does that money go? To the excessive amount of advertising that these companies are using, distracting us from the truth and brainwashing us that these are actual beverages we should be drinking. This results in us making our own decision to poison ourselves and buy more and more. CRAZY RIGHT! Now what? I dare you. Instead of ordering an XL soda with your meal, opt for a bottle of water. Can’t resist sugar? Avoid HFCS at all costs! Make sure to READ THE LABELS of what you are eating. You wouldn’t believe how many products have high fructose corn syrup in them that you wouldn’t expect. Search for something with a natural sweetener (stevia) or use raw honey. Stores like Trader Joe’s offer many non-HFCS products like ketchup, syrups, etc. A little extra effort will go a long way folks!